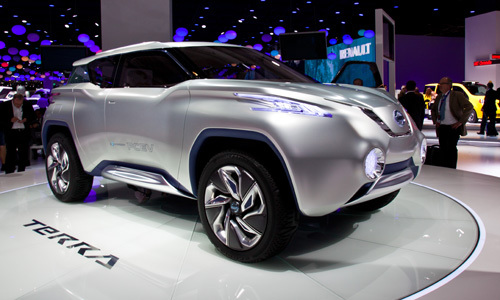 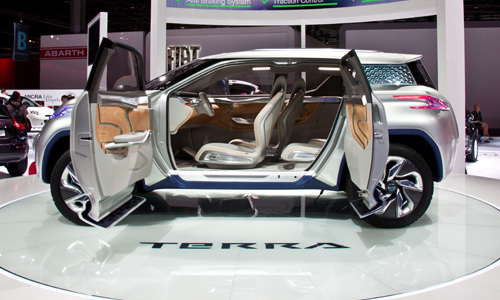 The big star at the Nissan booth this year is the TeRRa concept car, an all-electric SUV powered by a hydrogen fuel cell. 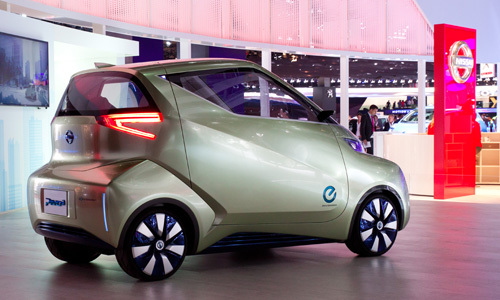 The PIVO 3 Zero Emission concept car, presented here for the first time in Europe, features the innovative Automated Valet Parking, which not only enables the car to find a place to park all by itself, but also brings it back to its driver with a call from his smartphone. 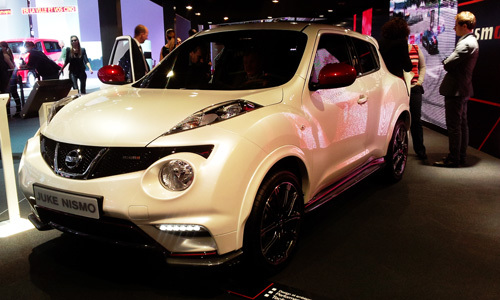 In addition to Juke Nismo and the radically designed Juke R, Nissan has unveiled a limited-edition Juke (3,000 units in Europe, including 350 in France) manufactured in partnership with Ministry of Sound. 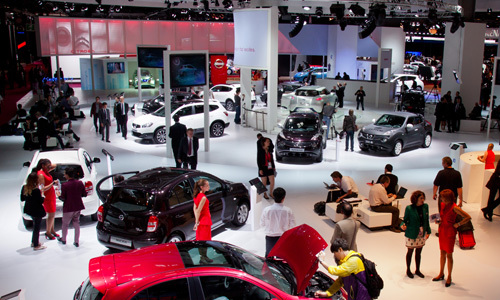 The Juke MoS and mixes from the London nightclub of the same name can be found between Halls 3 and 4. 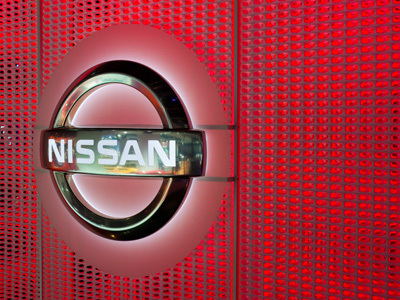 On the booth’s mezzanine, two of Nissan’s racecars that are in competition this year are on display. 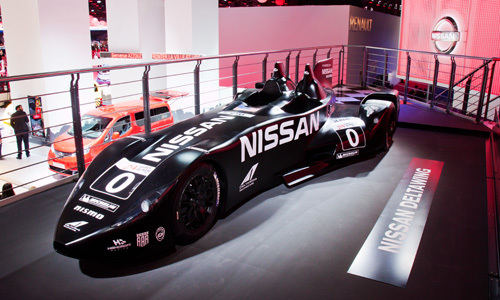 On one side sits the star of Le Mans 2012, the Delta Wing prototype. 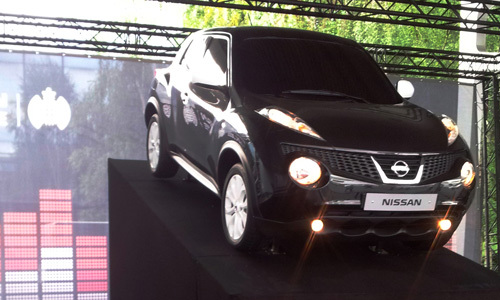 With strikingly original lines, it weighs in at less than 500 kilos and has a 1.6-liter engine from the Juke, boosted to 300 horsepower. 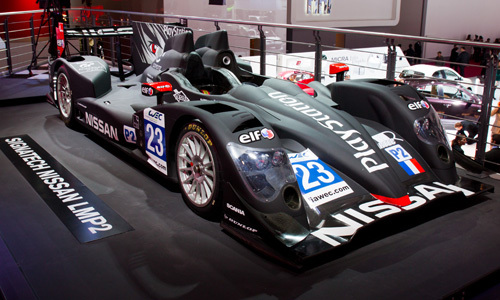 On the other side we find the ORECA 03/Signatech-Nissan powered by a Nissan 4.5 L V8 engine, which has competed in the Le Mans Series in the LMP2 category. 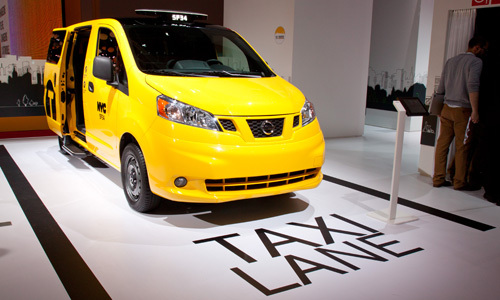 The NV200, the future taxi for London and New York, are also featured at the Nissan booth. 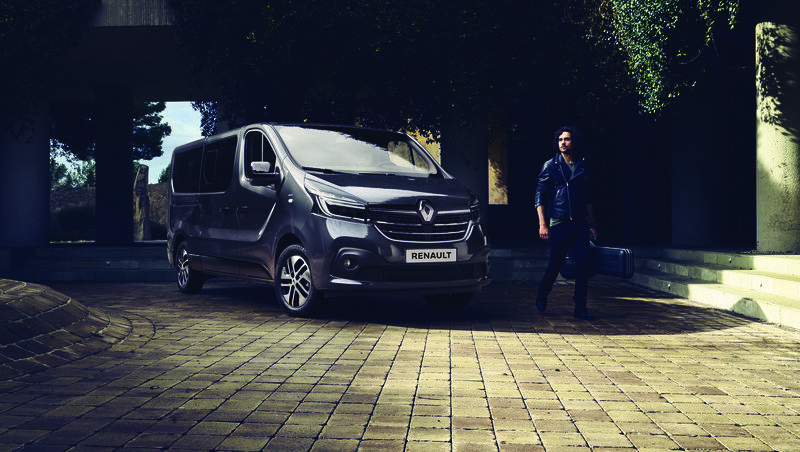 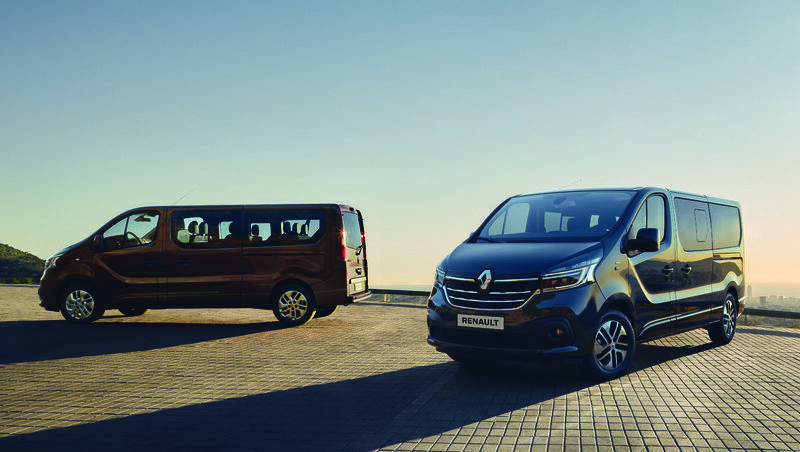 Derived from the NV200 compact van, they will go into service about one year from now, in 2014. 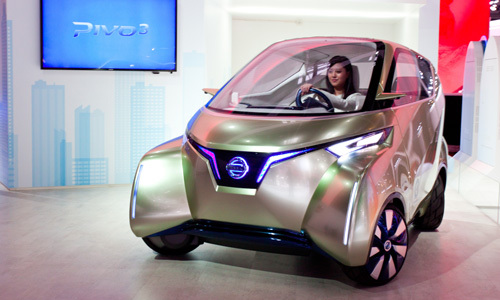 Meanwhile, Nissan is also developing an electric version of the NV200 Taxi based on the eNV200 concept car presented at the Detroit Auto Show in 2012. 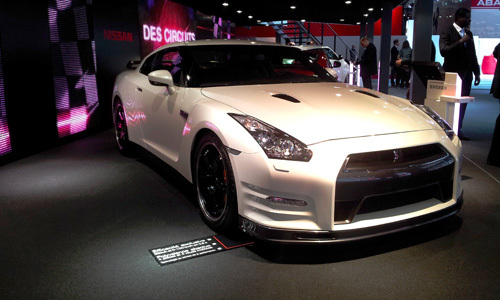 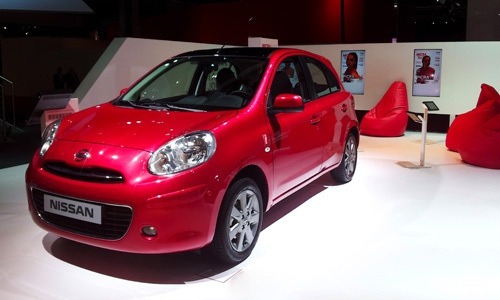 Other Nissan models on display at the booth include the new Micra ELLE, the new Juke Nismo and the new version of the GT-R.